Not like a slave, more a windfall apple. Undertaker ants polish the hearse. It’s a kind of blind date. A large part of the book’s first half consists of elegies for family members and memories of childhood. These rather private poems gain accessibility when an inclusive note of confidentiality is allowed to creep in – for instance, the guilty confession Whisper it, but I have never / Much admired the Mona Lisa which comes at the start of one about a family portrait that none of us will ever see. As he did his rounds, that messenger boy in 1944 might well have felt responsible for releasing all the troubles of the world. And we too might feel that it is better to close Pandora’s box again and not dwell on painful pasts: but Cunningham refutes this in ‘Telescope, 1916-2016’ and declares that looking back, we are not turned to salt / but peer through salt’s corrosion. Was not the kind of nice she would have married. 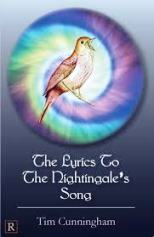 The Lyrics to the Nightingale’s Song is frequently illuminated by such deftly expressed compassion for human frailty and vulnerability.